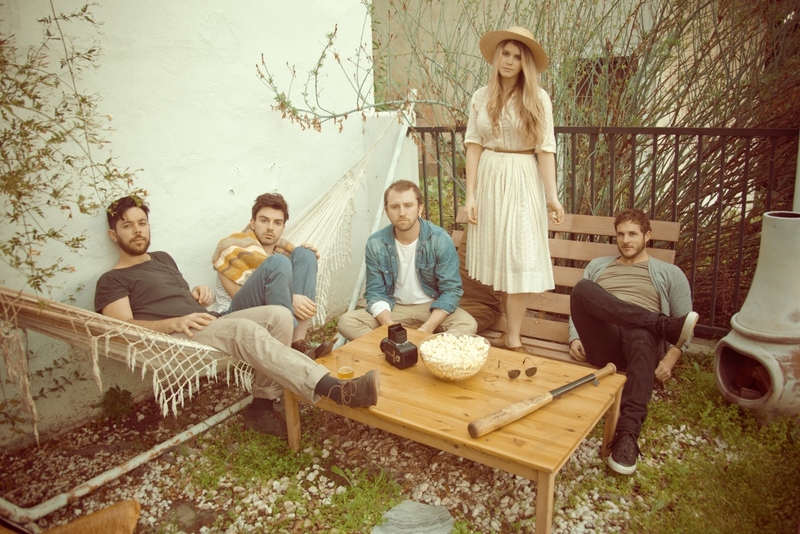 Milo Greene released their self-titled debut album on July 17th, 2012, and since then, they have wasted no time making a name for themselves in the music world. Based out of Los Angeles, the quintet, which includes guitarists and vocalists Robbie Arnett, Andrew Heringer, Graham Fink, Marlana Sheetz, and percussionist Curtis Marrero, has been touring almost non-stop including a set at Lollapalooza, a sold-out show at New York City’s Bowery Ballroom, and appearances on the late night talk show circuit. 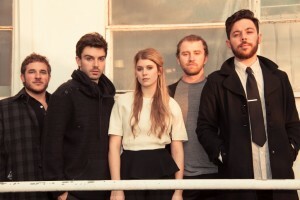 Just as they were crossing the Idaho-Washington state border on their way to Vancouver for their next show, band member, Graham Fink, took some time to chat with me from the road about touring, how film has inspired their music, and a new fun fact about the mysterious man named “Milo Greene”. Left to right: Graham, Arnett, Heringer, Sheetz, and Marrero. 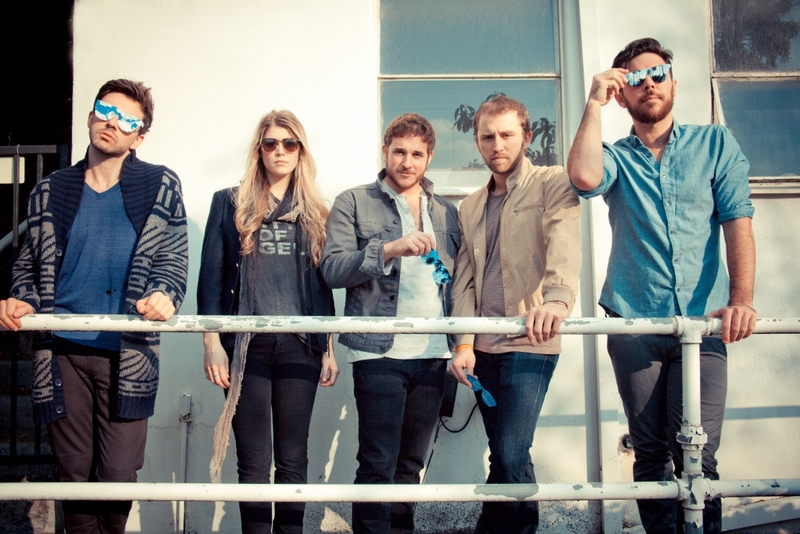 AB: So, Milo Greene has been on the road for quite a while at this point. GF: Yeah, over five weeks. AB: Any favorite moments from the current tour? GF: The New York show was really special. We sold out the Bowery Ballroom, which is a pretty major feat for us, and the crowd was really incredible. My mom was in town for that show and when I walked off stage at the end of the show, she was standing there, just beaming. She’s seen me play hundreds of shows, but there was something about the energy of that show, in particular, that was really special. AB: You’re coming back to Los Angeles at the end of the week and you will be playing a show at the El Rey this Saturday, November 17th! GF: We’re really excited for the show. The El Rey is one of the most special, biggest venues that we’ve been able to headline so far, so we’re really excited to play there. AB: In interviews, you have all said that you had a pretty clear concept of what you wanted the album to sound like. Can you describe what you were going for in terms of the concept or sound? GF: I think we wanted it to feel dreamy. We wanted it to feel a little spacey and to have that kind of sonic tone where you could just get lost in it and listen to the whole thing. Somebody described our music as “Americana dream pop”, which is a genre we’ll take. We’re big fans of reverb and bass and nostalgia. We like haunting qualities, but also driving percussion and guitars, so I think it’s a cross section of all of that. 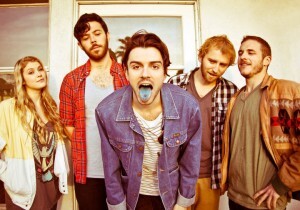 AB: Your self-titled album, Milo Greene, was released on July 17th and you have already seen a huge, positive response. Your songs have been featured on TV shows and you played live on Conan and The Late Show with David Letterman. Have you been surprised by the level of response you have received? GF: We were pleased about it, but I don’t know if we were surprised. When we got the band together and all left our old bands, we did so because we felt like it was something really special and something that we all believed in. So, we’re still excited by everything good that happens, but we were confidently optimistic when this band was getting started. We were definitely pretty surprised to get to play on Conan and Letterman; those are pretty surreal experiences, but from early on, I think, we were all really positive and optimistic about the feeling of this band. AB: It’s clear that film has had a huge influence on your artistic process as a band. Tell us a little bit about the short film, Modisson, which you created as a companion piece to the album. GF: We essentially had a few days off and we were discussing what to do visually to accompany the record. We have all been inspired by film, and we definitely thought of the music we were making as music that would work well as a film score. Rather than waiting around for people to use our music in their movies, we just made one of our own. It was shot at Shaver Lake, it stars one of our best friends, and it is directed by another friend of ours, Chad Huff. It’s a lot of really beautiful visuals. 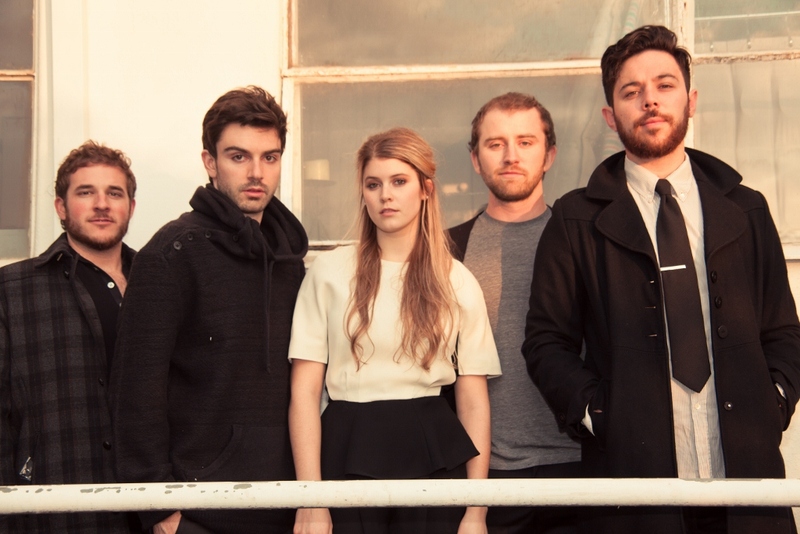 AB: “Moddison” is the name of one of the instrumental tracks from the album. Where does the name come from originally? GF: It is the name of a street that Andrew lived on when he was in Sacramento. AB: Oh! Well then there are a few residence-related track titles! I read that “1957” was a street address as well. GF: Yeah, we’re a very residence-related band. (laughs) Maybe that’s the genre we should claim. None of the other stuff, no “rock and roll”, just “residence-related”. AB: You have said that, as a band, you have all come together around watching films. What films have been inspiration pieces for Milo Greene? GF: Mainly romantic comedies. (long pause and then laughter) I mean, I’m half kidding, but we have a bunch of guilty pleasures. The other day in the van, I was watching Sleepless in Seattle while Robbie and Marlana were watching How to Lose a Guy in 10 Days. (laughter) But, in all seriousness, there’s a huge spectrum. We’re all big Terrence Malick fans. I was kind of raised on Hitchcock, Kubrick, Kurosawa, and Fellini. I also like some of the newer French directors like Leos Carax. I brought Blow-Up and Lovers on the Bridge, which are two of my favorites, but our van got broken into in Chicago and somebody stole the DVD briefcase. That was an unfortunate blow to our cinematic universe, as far as movie watching in the van goes. AB: I saw that on the blog! Have you received any bizarre DVD donations from fans since then? GF: Oh, we’ve gotten some pretty funny ones. We got Pre-natal Yoga. That’s probably the best one. AB: So, I know everyone loves to ask about “Milo Greene”. He is a fictional character you guys came up with in the early days to sound more legitimate when trying to book gigs for your various bands. From what I have gathered, he is British, always wears three piece suits, is a publicist, a booking agent, and an “all around masseuse”–quite an interesting guy! Anything else we should know about him? GF: I’m going to say that one of his legs is longer than the other. So, he walks with a bit of a limp, but he pulls it off as a sophisticated gait. AB: Well, that certainly adds to the portrait. I think you guys should have all of your fans draw pictures of “Milo Greene”, kind of like composite sketches that include all of his various characteristics, since no one has actually ever seen him. GF: That’s a good idea actually! We could do it as a contest! I’ll propose that to the band. AB: Awesome! Well, thanks, Graham, for taking the time to chat with me. I’ll look forward to seeing you guys at the El Rey on Saturday and stay safe and sane and have fun in the meantime! GF: Yeah, I will try to do all of those things and we are looking forward to the show at the El Rey, too! See you Saturday!